Vincent Vacations is a Certified Beaches Specialist! Your perfect family getaway awaits you at Beaches all inclusive Resorts in Jamaica and Turks and Caicos. Play on pristine, white-sand beaches caressed by crystal-clear seas. Spend your family vacation in luxurious rooms and suites. Enjoy a whole array of incredibly exciting and fun activities for kids of every age. 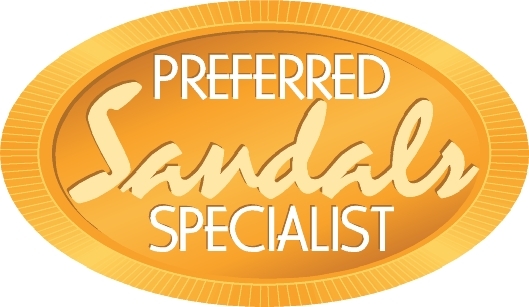 Check out the areas of our web site on other resorts in the Sandals family, Sandals Resorts, Grand Pineapple and Fowl Cay. Located on the widest stretch of Negril's seven mile white sand beach. Water Theme Park with lazy river, Caribbean Adventure with Sesame Street themed activities. The resort is designed for everyone; couples, singles and families vacationing with children. Overlooking the Caribbean Sea, Ten (10) miles east of the town of Ocho Rios.